Winter is here and along with it comes dry and uncomfortable nasal passages. Here are some of my go-to tips to help your kids tackle the winter season. A dry and uncomfortable nasal passage is a common problem which kids face this season. If the nose doesn't have a certain level of hydration, it creates dry nasal passages, which can be tough on infants and children. 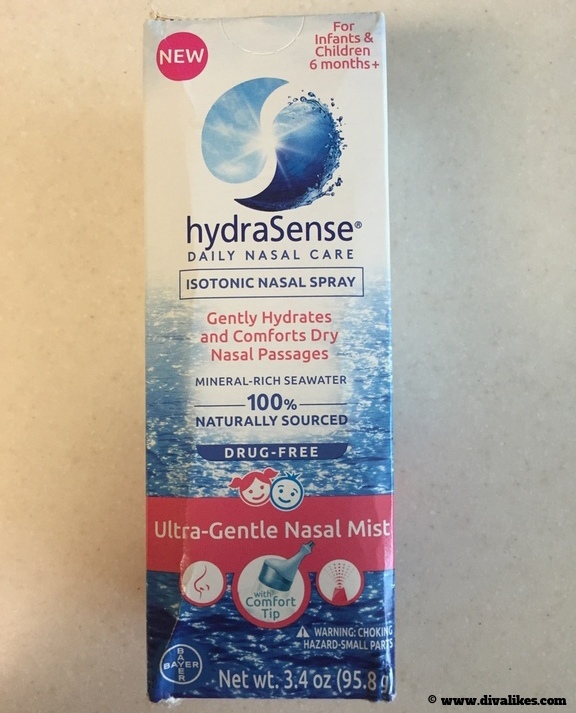 hydraSense® Ultra-Gentle Nasal Mist delivers the hydrating power of the sea to soothe the dry nasal passages. Made with mineral-rich, 100% naturally sourced seawater from the Bay of Saint-Malo, France, whose powerful tides constantly renew the seawater's composition; this purified seawater solution is made with preservative-free and naturally sourced ingredients. Visit hydraSense.com for more information about the daily nasal care line to determine the product that is right for your child. 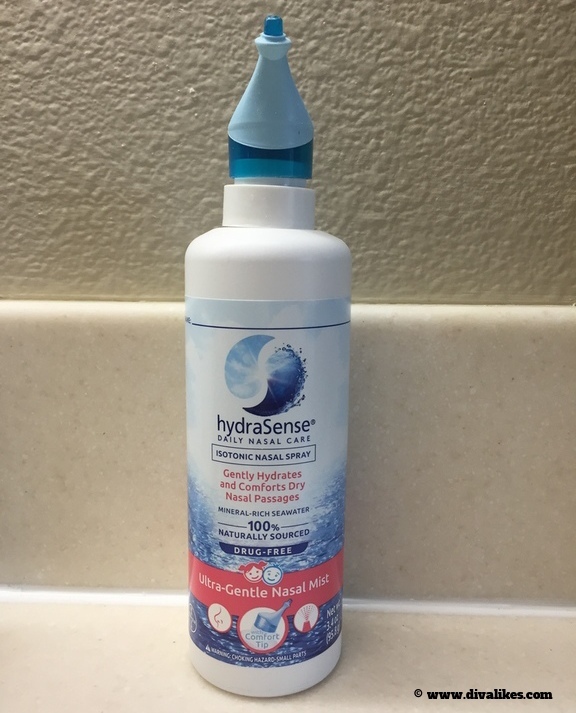 You can now find hydraSense® products only at a Walgreens store or walgreens.com. Ask your pharmacist or Walgreens store associate where hydraSense® is located. All products can be found in the Children’s Medicine aisle. 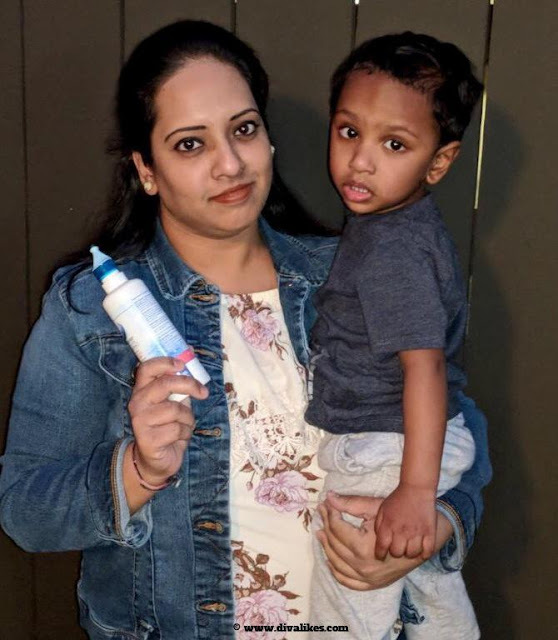 I used hydraSense® Nasal Mist for my son Aakarsh who is now 21 months old. It was easy to use, as you just have to place the tip in the nostril and press down on the applicator. The excess solution should be wiped from both nostrils with tissues and you are done. Aakarsh was comfortable while using it and there was no trouble at all. The nasal mist offers great benefits of hydrating and soothing the nasal passages, which is most important this time of the year. Since this is a non-medicated solution with no artificial additives, I found it gentle enough to use with my little one. The removable tip it has is easy for cleaning. It is also suitable for daily use and I am going to keep it handy for Aakarsh this winter season. hydraSense® products include hydraSense® Ultra-Gentle Nasal Mist, hydraSense® Nasal Care Single-Use Vials, and hydraSenseTM Soft Comfort Tip Nasal Aspirator. Check out Sea. The. Difference. video to learn more. hydraSense® is inviting mothers across the U.S. to "Sea. The Difference." Delicate little noses deserve gentle care. During the dry winter season, take care of your children with hydraSense® nasal care line. For infants under six months, please consult your pediatrician prior to use. It is a known fact that hand washing is a good hygiene practice and we all need to teach it to our kids right from a young age. Children should wash their hands before and after eating, after using the bathroom, post their playtime and when they cough or sneeze. This helps remove the germs in an effective way. Immunity boosting foods and drinks are helpful during this time. Include foods, which are rich in vitamin A and C (a key immune system nutrient), zinc (a mineral used by the body to make T-cells), high protein (an important component of the immune system), and probiotics (strengthens the immune system). Warm drinks are suggested throughout the winter season to keep diseases at bay. Sleep is important for immune function and builds the immunity levels. Make sure your child gets enough sleep. In general, infants need about 14 hours sleep and toddlers needs 11-13 hours of sleep a night. It might be cold outside but that doesn't mean you have to lock your kids inside. Keeping the children active with physical activity and exercise is important as it helps fight off germs and other bacteria which makes your kids prone to sickness. Be it a walk around the block or a game in the park, let the kids out every day and keep them active. Experts advise that anyone six months and older should receive an annual flu shot. In the case of children, the flu can result in mild as well as severe cases leading to pneumonia. Discuss with your child's pediatrician and they will be able to explain how the flu shot can be a protector in the flu season.